Scoot use Boeing 787 and Airbus 320. Boeing 787 is a middle-range plane, Airbus 320 is a near- and middle-range plane. 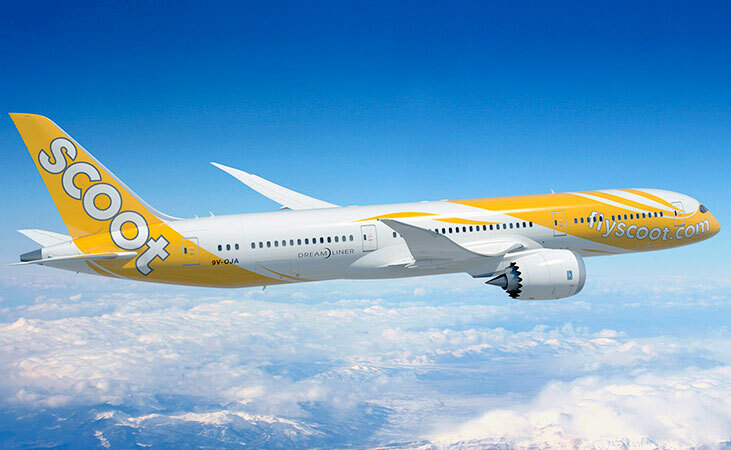 There are two kinds to Boeing787 that Scoot uses. 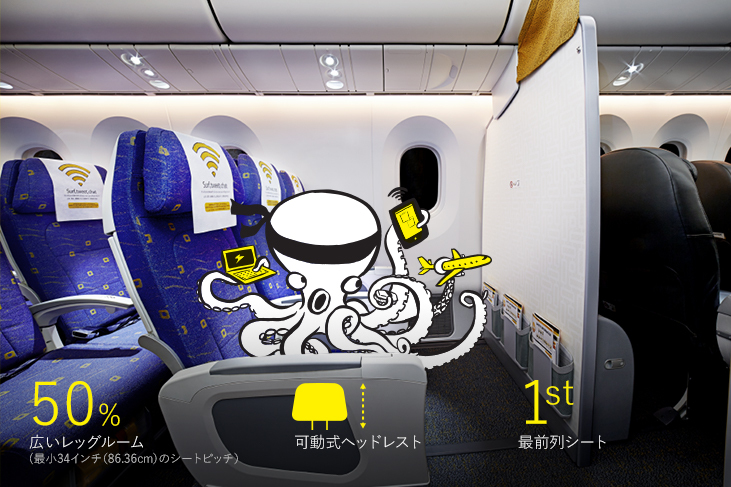 The seating capacity of 787-8 type is 335 seats, 314 seats of economy class, 21 seats of business class (ScootBiz). 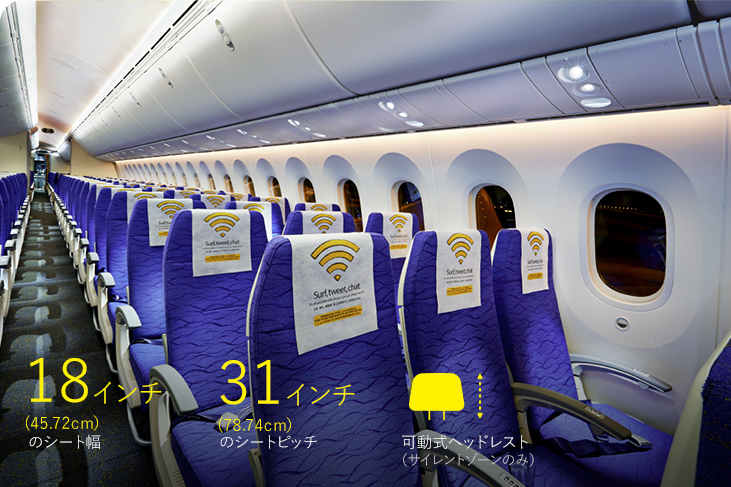 The seating capacity of 787-9 type is 375 seats, 340 seats of economy class, 35 seats of business class (ScootBiz). 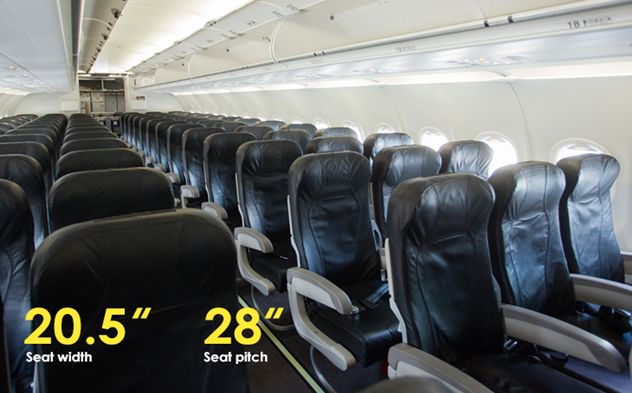 A320 has 180 seats, all in an economy class. 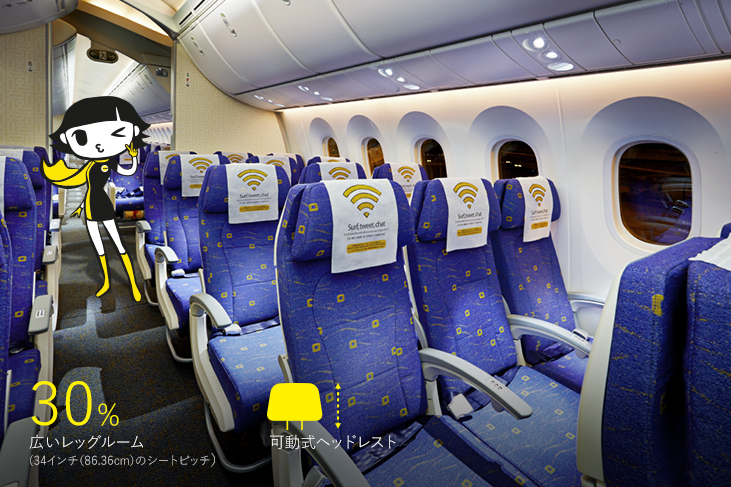 The business class called “Scoot Biz” is fully equipped with the power supplies in a spacious seat. A normal seat ”Standard seat”. ”Super seat” with the legroom where 30% are wider than a standard seat. ”Stretch seat” with the legroom where 50% are wider than a standard seat. 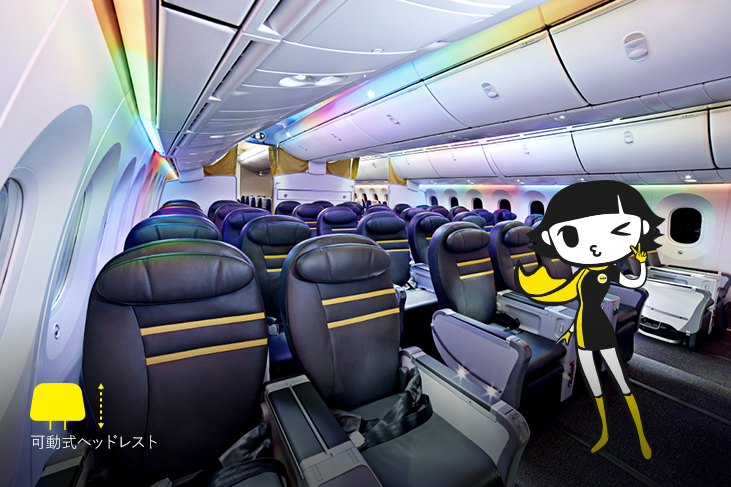 ■Seat Selection Fees Scootbiz, which is a business class, includes a seat designated fee for air tickets. 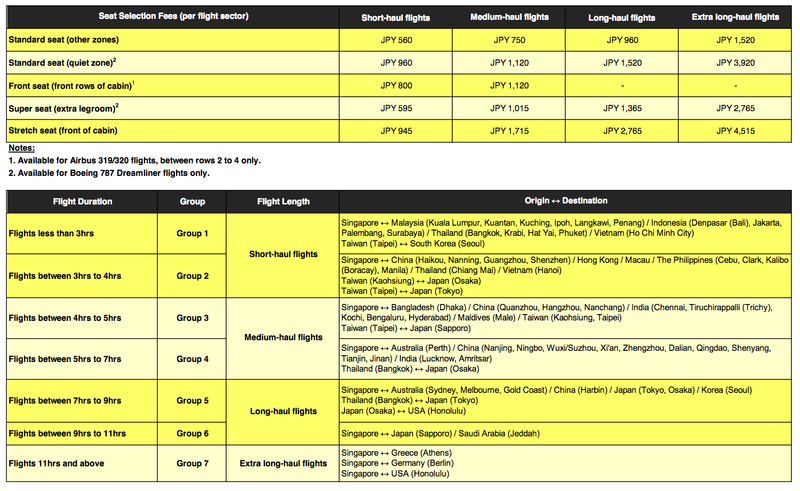 Economy class seat fee depends on route. It is the Standard seat (normal zone) 560 JPY~, Standard seat (silent zone) 960 JPY~, Front seat 800 JPY~, Super seat 595 JPY~, Stretch seat 945 JPY~. It does not take charge if you do not do a seat reservation. Scoot ”Let’s present TRAVEL” Nov 23, 2016.